Krymsky, Ahatanhel [Kryms’kyj], b 15 January 1871 in Volodymyr-Volynskyi, d reportedly 25 January 1942 in Kustanai, Kazakhstan. (Photo: Ahatanhel Krymsky.) Eminent Ukrainian Orientalist, belletrist, linguist, literary scholar, folklorist, and translator; full member of the All-Ukrainian Academy of Sciences (VUAN) (and later Academy of Sciences of the Ukrainian SSR) from 1918 and the Shevchenko Scientific Society from 1903. A graduate of Galagan College in Kyiv (1889), the Lazarev Institute of Oriental Languages in Moscow (1891), and Moscow University (1896), he conducted research in Syria and Lebanon (1896–8) and then taught at the Lazarev Institute, from 1900 as professor of Arabic literature and from 1902 also as professor of Oriental history. He was an active member of Moscow's Ukrainian Hromada. His political views were greatly influenced by Mykhailo Drahomanov, Ivan Franko, and Pavlo Tuchapsky. In July 1918 Krymsky moved to Kyiv. There he helped to found the VUAN and its library and served as the first VUAN permanent secretary and de facto director until the Soviet government brought about his defeat in the VUAN elections of 1929. He edited 20 of the 25 volumes of Zapysky Istorychno-filolohichnoho viddilu VUAN (1920–9) and was a professor at Kyiv University as well as the vice-president of the Ukrainian Scientific Society in Kyiv (from 1918). Krymsky survived the Stalinist terror of the 1930s although for nearly 10 years he was removed from scholarly and pedagogical activity. Apparently rehabilitated in 1939, he was, however, arrested by the NKVD in July 1941, and disappeared. As an Orientalist (an expert in up to 34 languages) Krymsky contributed several hundred entries to the prerevolutionary Brockhaus and Efron and Granat Russian encyclopedias and wrote many other works on Arabic, Turkish, Turkic, Crimean Tatar, and Iranian history and literature. He wrote, in Russian, pioneering textbook histories of Islam (3 parts, 1904–12); of Turkey and its literature (2 vols, 1910, 1916); of the Arabs and their literature (3 parts, 1911–13); of Persia, its literature, and Dervish theosophy (3 vols, 1901–6, 1909–14); and a study of the Semitic languages and peoples (3 parts, 1903–12). In Ukrainian he also wrote histories of Turkey and its literature (2 vols, 1924, 1927) and of Persia and its literature (1923); monographs on Hafiz and his songs (1924) and on the Turkic peoples, their languages, and literatures (1930); edited a collection of articles on the Crimean Tatars (1930); and wrote, with O. Boholiubsky, a study of Arab higher education and the Arabian Academy of Sciences (1928). During the last years of his life he wrote a six-volume history of the Khazars; it was never published. Krymsky's research on the history of the Ukrainian language was sparked by his desire to refute Aleksei Sobolevsky's claim that the language of the ancient Kyivan Rus’ was Russian, not Ukrainian. 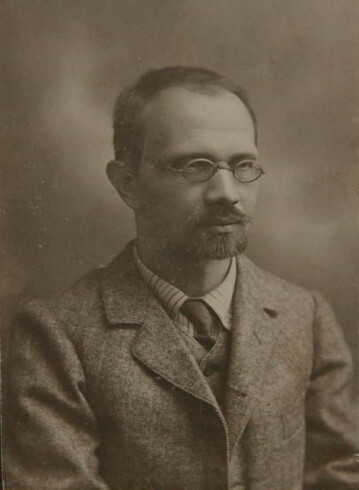 After painstaking, though insufficiently critical and one-sided, investigations of Old Ukrainian texts, he wrote three polemical studies—Filologiia i pogodinskaia gipoteza (Philology and Pogodin's Hypothesis, 1904), Deiaki nepevni kryteriï dlia diialektolohichnoï kliasyfikatsiï staro-rus’kykh rukopysiv (Some Questionable Criteria for the Dialectological Classification of Old Rus’ Manuscripts, 1906), and Drevne-Kievskii govor (The Ancient Kyivan Dialect, 1907)—and the historical Ukrainskaia grammatika dlia uchenikov vysshikh klassov gimnazii i seminarii Pridneprov’ia (Ukrainian Grammar for Students of Higher Grades in the Dnieper Region's Gymnasiums and Seminaries, 2 parts, 1907–8). His views on the language of Kyivan Rus’ are summarized in ‘Ukraïns’ka mova, zvidkilia vona vzialasia i iak rozvyvalasia’ (The Ukrainian Language: Whence It Came and How It Developed) in his and Aleksei Shakhmatov's Narysy z istoriï ukraïns’koï movy ta khrestomatiia z pam'iatnykiv pys’mens’koï staro-ukraïnshchyny XI–XVIII vv. (An Outline of the History of the Ukrainian Language and a Chrestomathy of Texts of Literary Old-Ukrainian Writing of the 11th–18th Centuries, 1924). Together with Kostiantyn Mykhalchuk, Krymsky published a program for collecting the distinctive features of Ukrainian dialects (1910). As the director of the Institute of the Ukrainian Scientific Language (1921–9), he was actively involved in the work of standardizing the vocabulary and orthography of literary Ukrainian. In this activity he vehemently rejected the Galician orthographic tradition. He was the editor in chief of vols 1–2 (4 issues) of the VUAN Russian-Ukrainian dictionary (1924–33) and of the Russian-Ukrainian dictionary of legal language (1926). As a belletrist Krymsky is known for his three books of lyrical poetry on Oriental themes entitled Pal’move hillia: Ekzotychni poeziï (Palm Branches: Exotic Poems, 1901, 1908, 1922), the novella Andrii Lahovs’kyi (1905, 1972), the collection Povistky i eskizy z ukraïns’koho zhyttia (Narratives and Sketches from Ukrainian Life, 1895), and the collection Beiruts’ki opovidannia (Beirut Stories, 1906). Krymsky translated many Arabic and Persian literary works into Ukrainian, including The Rubáiyát of Omar Khayyam, A Thousand and One Nights, and Hafiz's songs. He also translated the poetry of Heinrich Heine, Byron, Sappho, Friedrich Rückert, and other European writers. He published articles and reviews on Ukrainian writers and their works (eg, Ivan Vyshensky, Olha Kobylianska, Ivan Franko) and on Ukrainian theater in Lviv and Kyiv periodicals, such as Zhytie i slovo, Zoria (Lviv), the journal Pravda, Dzvin (Kyiv), Literaturno-naukovyi vistnyk, Kievskaia starina, and others. He published, with Mykola Levchenko, two volumes of materials on Stepan Rudansky (1926–9). As an ethnographer, Krymsky was an advocate of migration theory. He translated into Ukrainian and annotated W.A. Clouston's Popular Tales and Fictions ... (1896). A great deal of ethnographic material is found in his Orientalist works. He also wrote articles about such Ukrainian ethnographers as Mykhailo Drahomanov, Mykola Lysenko, and Vsevolod Miller. 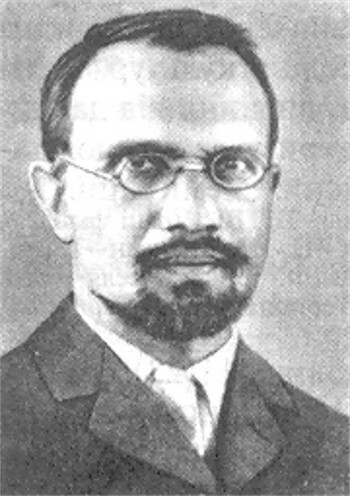 Twenty-seven of his ethnographic articles were republished as Rozvidky, statti ta zamitky (Studies, Articles, and Comments, 1928). Of particular importance is his Zvenyhorodshchyna z pohliadu etnohrafichnoho ta diialektolohichnoho (The Zvenyhorod Region from an Ethnographic and Dialectological Perspective, 1928). The second volume of this work, like many of his other manuscripts, was never published. Krymsky donated his valuable 30,000-volume library to the VUAN; it is now part of the National Library of Ukraine. His personal archive—consisting of thousands of manuscripts and the papers of Mykola Bilozersky, Pavlo Zhytetsky, Stepan Rudansky, Andrii Dyminsky, and others—is preserved at this library and at the Institute of Fine Arts, Folklore, and Ethnography of the National Academy of Sciences of Ukraine. His works appeared in a five-volume edition in Kyiv (1972–3).